The Schutzenhaus, established in 1899, is the oldest German Club in Southern Africa. 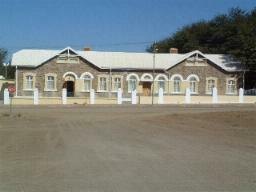 It was privatized after 98 years and is now a Guest House in Keetmanshoop. 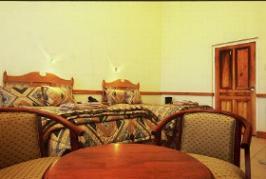 It is situated in the Pastorie Street and its tranquil surroundings are a true resting place for the weary traveller. It is the ideal base station for guests wishing to explore the Mesosaurus Fossil Trail, Fish River Canyon, Quiver Tree Forest, Giant's Playground and other tourist attractions in and around Keetmanshoop. Here you can re-live the good old times. 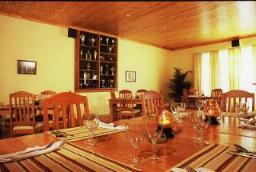 An a la carte Restaurant, private bar, and barbeque facilities are also available. Mini tours to the various attractions can be arranged at request.